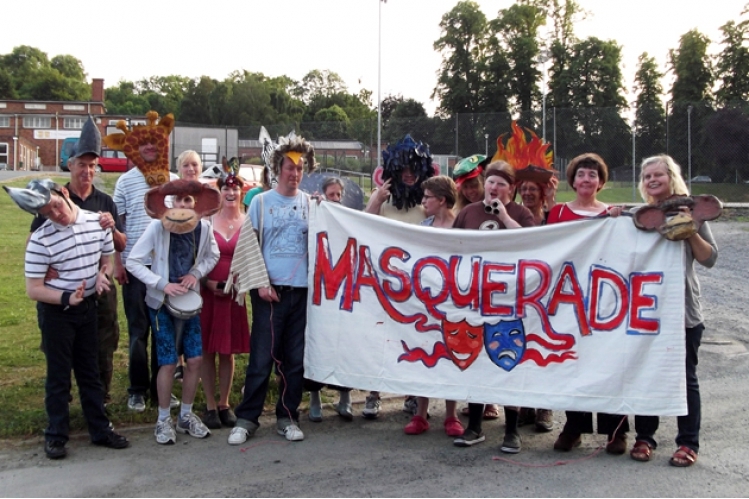 At Masquerade we work on: improvisation, speech and language, characterisation, story telling, script development, creative writing, devising dance and movement, singing and using the voice, music, art – prop making, mask making, scenery painting. The project works with many local people from the learning disabled to children. We hope you can help us to continue the Masquerade project on an annual basis.